Need a quick Valentine's gift for someone you love? 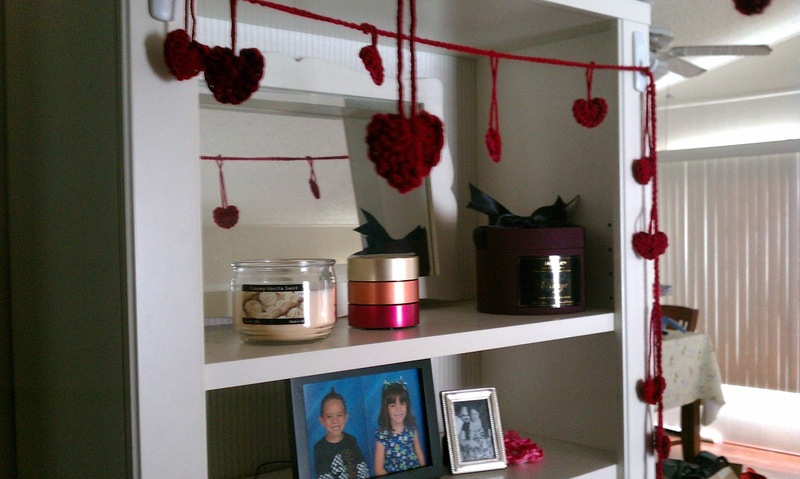 Crochet them a heart necklace! 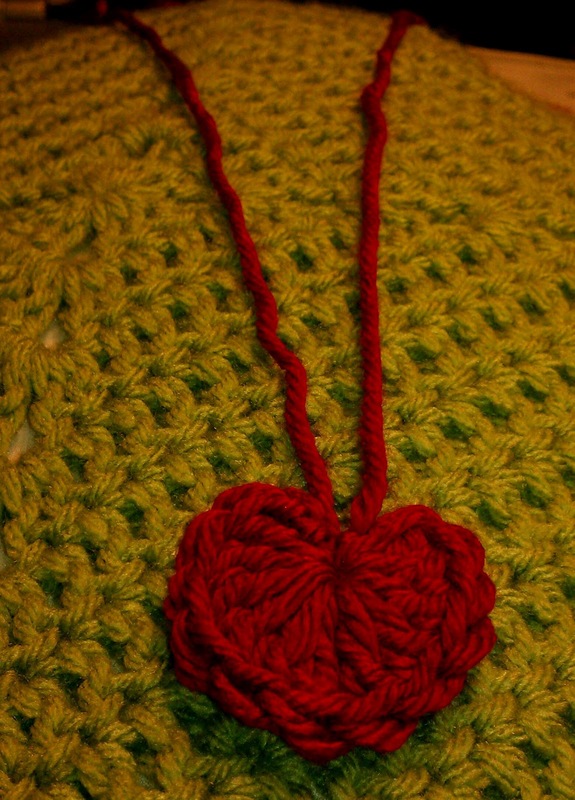 I recently came across a pattern for a small heart that you can make in exactly 90 seconds. And you know what? You can! Since then, I've made over 100 of them. 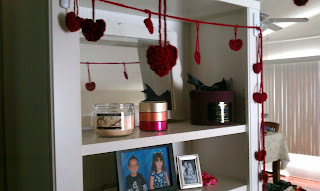 They are now a part of a garland decorating my house and are awaiting bobby pins to be used as Valentine's gifts. 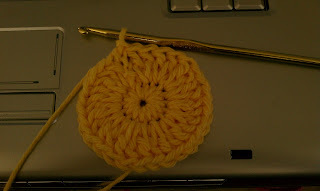 Begin by taking your yarn and forming a magic circle approximately 12 inches from the start of the yarn. Chain 2, then 5 DC into the circle, followed by 1 TC, then by 5 DC. 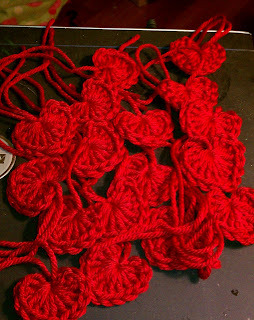 End by chaining 2 and slip stitching into the magic ring. 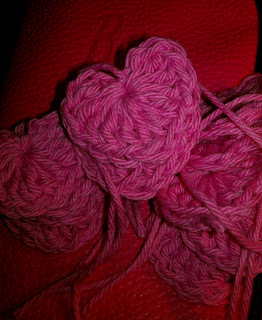 Cut the yarn the same length as the original tail and tie the two tails together using a square knot near their ends. 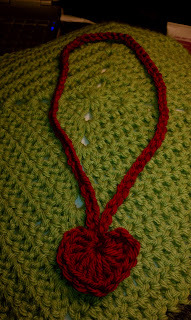 Chain 50 - 70 (depending on how long you would like your necklace to be). Slip stitch to join the two ends of the chain. 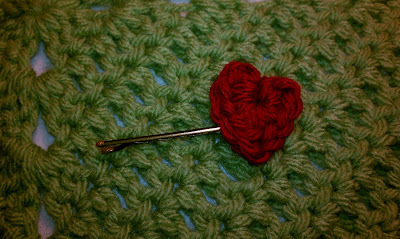 In the same stitch (where you joined the two ends of the chain), 5 DC, 1 TC, 5 DC, ch 2 and slip stitch into the stitch to finish the heart. Fasten off. I've been experimenting with heart patterns, trying to find one that could create the ideal hair clip. 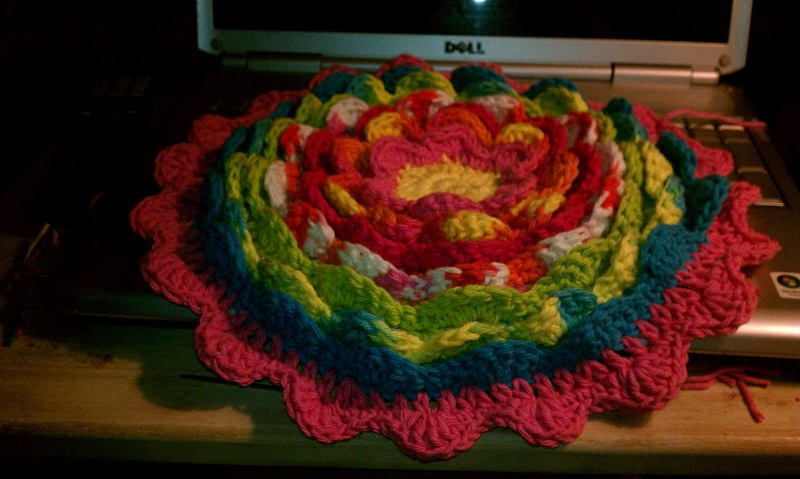 I've liked a lot of the patterns I tried, but only one gave me the clean look I wanted. 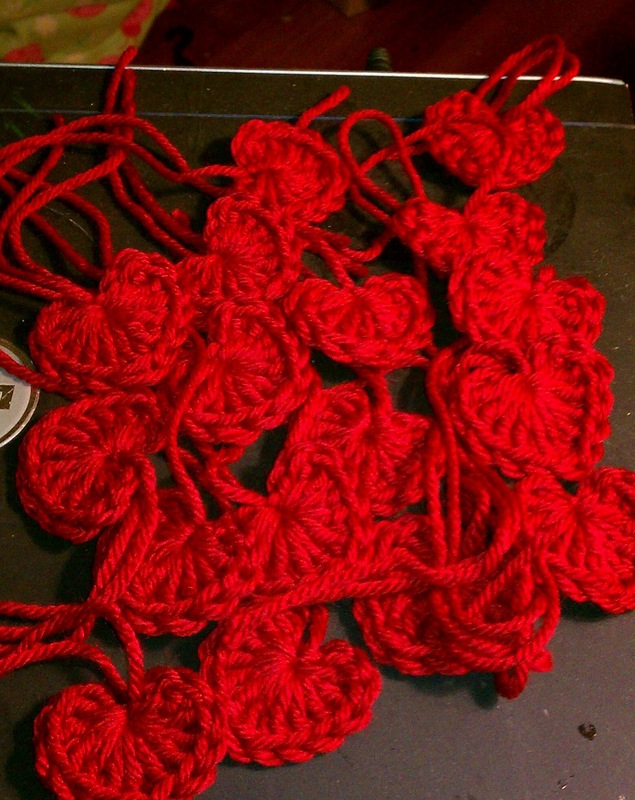 I ended up adjusting the pattern by adding one more DC on each side of the heart. 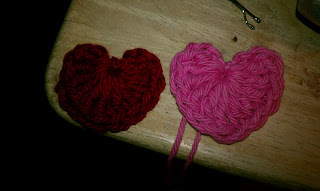 Still, I needed a pattern for a really tiny heart. So, I came up with my own. 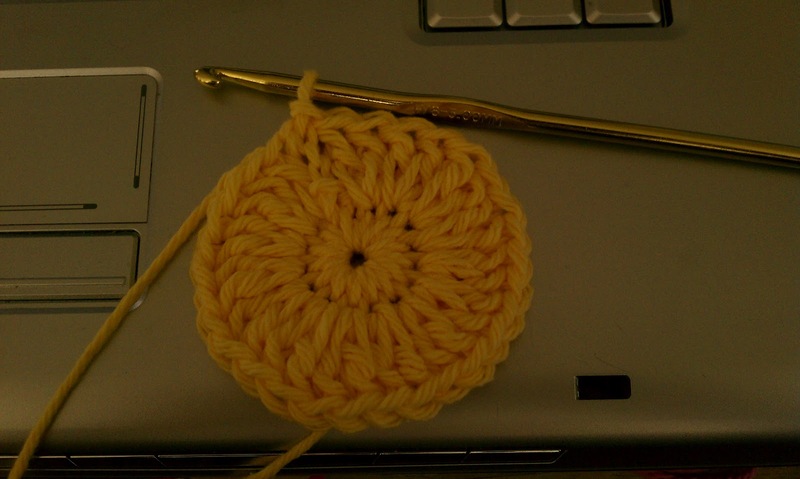 Slip stitch into the magic circle. Pull tight and fasten off. Done! Isn't it adorable? The heart is about 3/4 of an inch high. 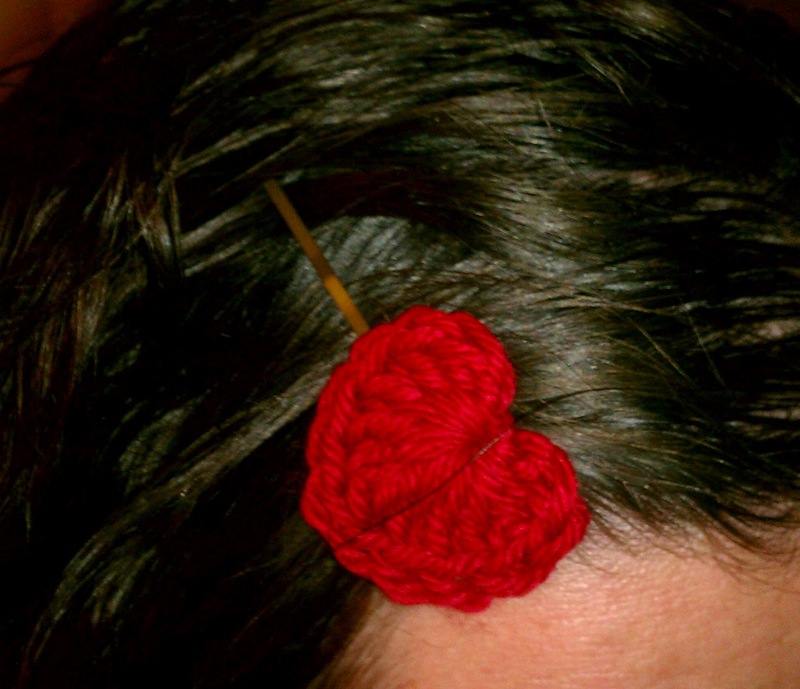 Slip a bobby pin through the back and you have a quick cute clip! 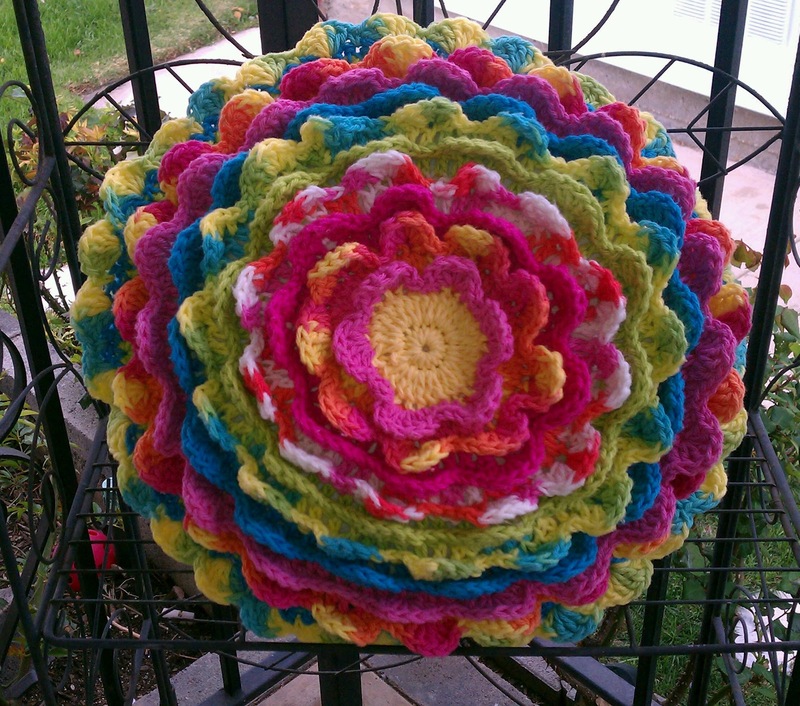 I created a flower pillow last year and I was very proud of it. Lucy of Attic 24 has her own pattern and I decided that I wanted to try to do it on my own! 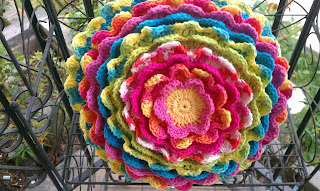 I decided I wanted a happy, bright colored pillow. 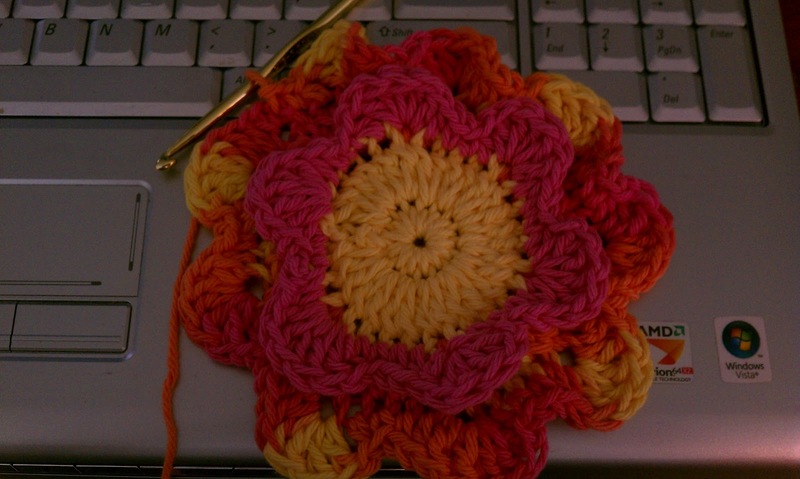 I had a bunch of 100% cotton yarn and decided to use it on my own flower pillow. It started simply. Fifteen double crochets, followed by a row of 30.
the flower began to take shape. 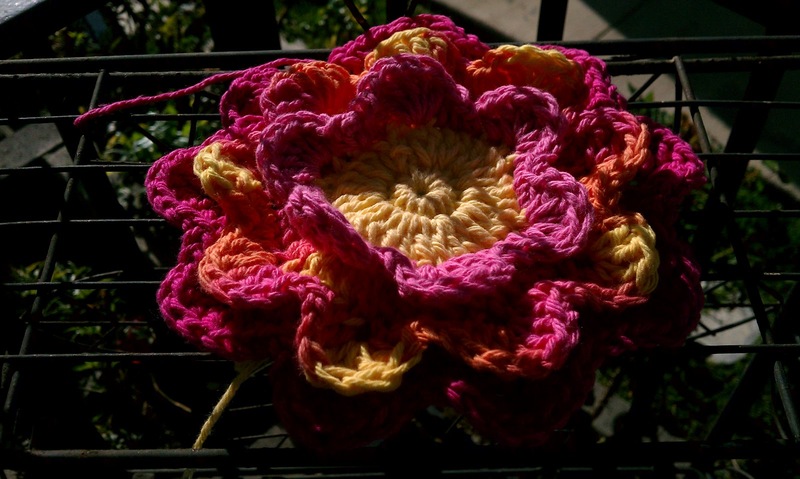 I used whatever color seemed the next logical to use. Eventually, there were 10 rows of petals. Finally, I crocheted a huge circle for the back and put in the pillow. 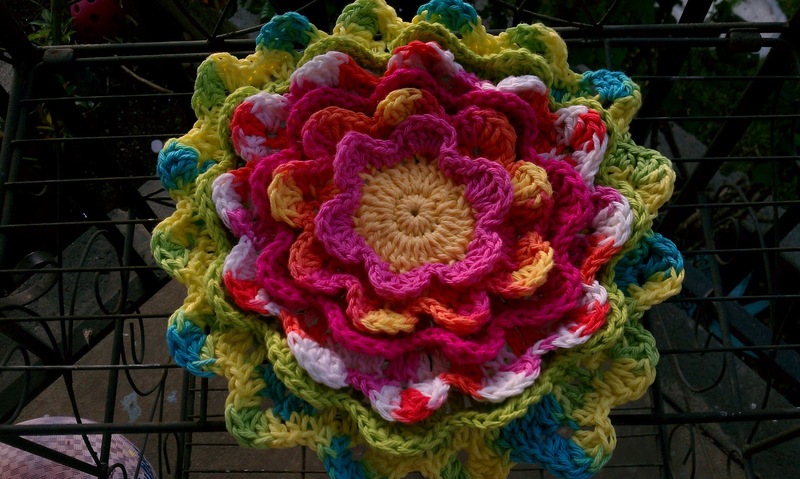 It is so bright and happy. I just love looking at it!